Where have they hidden it now? This thread is for all the occasions where we search for a previously used setting that we can’t find any more. It’s not so much for sharing answers but more a reflection on how Apple’s much vaunted commitment to usability can be deflected by something more important like marketing or politics. I like to keep iOS in-app purchases disabled because I have at least one app that I don’t trust not to execute purchases. Occasionally I do need to enable an in-app purchase and then I have a hard time finding the option again. 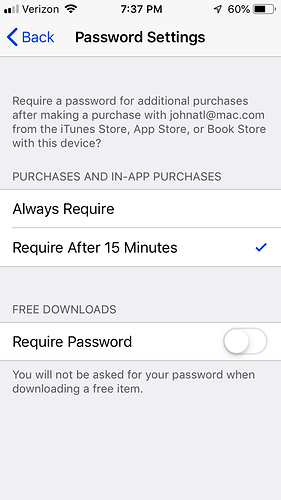 Settings / iTunes & App Store? No. 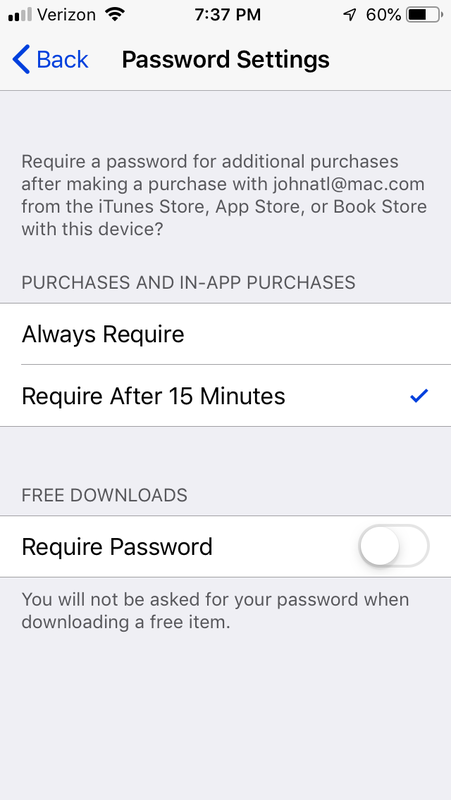 It’s supposed to be obvious that this is now in Settings / Screen Time / Content & Privacy Restrictions / enter a pin / iTunes & App Store Purchases where the third option is In-app Purchases. Calling this category “Screen Time” is misleading as there’s a lot more in there besides Screen Time. And it’s disappointing that the capability to search settings doesn’t find all the options. If it’s behind a pin, then display the search result and put the pin entry after the user chooses the result. It’s in iTunes and App Store , Password settings. And important: it is now on again as default!!! I’m fine with having to enter the pin. My point is, the categories names should accurately reflect what they contain. “Screen Time” should be just that, and not have all the other restrictions hidden under it. Alternatively, the Restrictions page could contain Screen Time. But that would bury Screen Time, and Apple is clearly trying to draw attention to it. Finally, it’s important that Search in Settings can actually find everything in Settings rather than failing as it does for this setting.